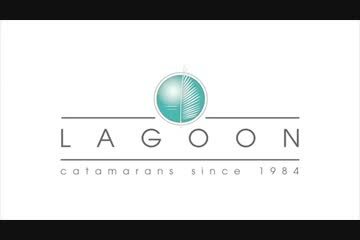 This Nice Lagoon 560 is in St Maarten, we will show you this unit, we're dealer for Lagoon. She's a prestine unit well maitained only by profesionnal ! She's a spacious and comfortable 56's Catamaran ! Fuel Capacity: 1376L in 2 x stainless steel tanks. Hydraulic Steering Wheel, 2 x electronic throttles with joystick remote in saloon. Bow Thruster in Stbd hull. Building process: infused FRP and FRP composite with balsa core and polyester and high quality anti osmotic resin. Hull bottom and keels in solid infused laminate Infused balsa core structural bulkheads Light grey paint coat in bilges White gel coat hulls White gel coat decks with non diamond skid areas. Owners version 4 cabin with 4 head version. All interior design by Nauta Design in Alpi Oak. All Pleated blinds in 4 x cabins and saloon, Sea Recovery water maker 250L p/h, fans in saloon and 1 x in each cabin. 8 x berths in 4 x queen configuration. Shower: All Hot & Cold. 4 x enclosed showers in 4 x heads. 1 x cockpit shower. Toilet: 4 x electric fresh water flush toilets. Air Conditioning: Reverse cycle Air-conditioning 72000BTU. Entertainment: 220V Bose Lifestyle system with TV/home cinema in saloon, 4 x speakers in cockpit and flybridge, electric lift TV. Miele washer/dryer in saloon, Miele Dishwasher, 220V Microwave, Kettle, Toaster, Electric dropping saloon table in saloon. 1 x front opening fridge in saloon, 1 x front opening freezer in saloon, 1 x full standing fridge in stbd hull, 1 x drinks fridge in cockpit. 5 x burner gas stove and oven. Water Capacity: 480L in 2 x roto moulded plastic tanks. Batteries: 8 x Excide Gel ES2400 210 Ah, Invertor 5000v. Solar panels 100w x 4 flexible with inbuilt regulator, 4 x 200w solid with inbuilt regulator. LED interior lighting. LED Nav lights. Mast head Tricolor. Raymarine Hybrid touch GPS Plotter at Helm and in Saloon. 2 x Raymarine Multi at helm. Raymarine Autopilot at helm with remote in saloon. Radar HD Digital Raymarine18"48NM 4 kW with S/Steel protection, Fleet Broadband 150 Satellite internet, WIFI Booster, Radar reflector, Raymarine aft looking cameras under Flybridge, AIS Transceiver. iPad e-Plex controller. 2 x Handheld VHF Raymarine with DSC. Squaretop Main. Furling Genoa and Furling Staysail. 2 x on Genoa and Staysail. Asymmetrical. Sparcraft fractional twin swept painted aluminium rig. Carbon Canoe boom with sail cover and Lazy Jacks. Dinghy: Highfield Ocean master 420 RIB with full cover. Outboard: Honda 50hp 4 stroke. Ground Tackle/Anchor Winch: 65kg Stainless Steel Ultra Anchor, Electric anchor windlass. Lewmar anchor control at helm. Covers: Full Bimini over helm with inbuilt LED lighting, All covers for ability to fully enclose cockpit. Other: Underwater Ocean LED lights, All cockpit cushions and Flybridge cushions in Carbon Beige, forward cockpit cushions in Carbon Beige, All covers for cockpit table/helm/wheel, Hydraulic Tender lift with cradle with remote, Dive tanks 3x with rack, Deck wash pump (salt and fresh), fishing rod with launches, Webber BBQ, 2 x Paddle boards, Kayak, 2 x folding bicycle, Cleaning materials. Spares: ZDF control unit, Hydraulic drive unit for autopilot, Ceiling fan, e-Plex controller and processor, helm station switches, lights, spares for engines and genset, toolkit, high pressure cleaner.